The end of Bones seemed like it was on its way all season. With the end of Emily Deschanel and David Boreanaz’s contracts in sight, not only did the show seem likely to be done after this season, it seemed to a done deal for a host of other reasons, as well. Until recently, that is, when people over at Fox hinted that a deal for one more season could be worked out. Now, fans of the series who have stuck with it over the years should be happy to learn that Bones has been renewed for a 12th and final season. Yes, this means the show will be back on the schedule next fall. That is, if Fox actually puts it on the schedule when it's supposed to be (zing). Season 12 will look a little different than past seasons. 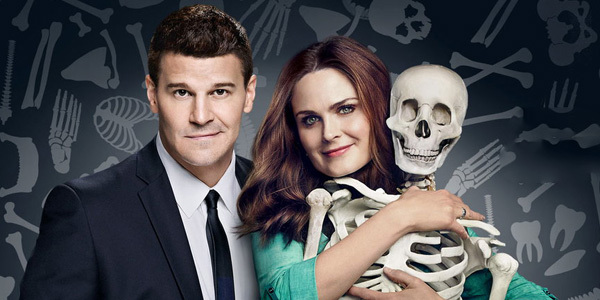 Bones typically gets a full season order, but Season 12 will only have 12 episodes. The basic premise is to wrap up the storyline and end on a high note. Jonathan Collier and Michael Peterson V are noting via a Fox announcement that the renewal will allow them to wrap up the whole series in a meaningful way, but also to give viewers a more satisfying ending to Season 11, so there’s that. Creator Hart Hanson also called Bones a “beacon of stability,” and normally I wouldn’t include this sort of quote, but it’s so wild, I feel compelled to share it. In times like these, marked by instability and doubt, it’s comforting to know the world can count on at least one dependable beacon of stability. Apparently, that beacon is Bones. Honestly, I guess I should have seen the signs coming when CEO Dana Walden stated that a deal could bring back Bones next fall. However, there are just so many cards stacked against the series right now, I’m still a little astounded. For instance, Emily Deschanel and David Boreanaz’s contracts are both up at the end of the season, and both actors are involved in some testy ongoing litigation with Fox. Plus, Boreanaz has been open about the show probably ending and the showrunners have a new project in the works at Fox. Then, throw in the fact that Bones had legitimately terrible ratings on Thursday nights this fall, to the point where Fox pulled the show from the schedule, and it’s easy to see why we all thought Bones had reached the end of the line. If you are still watching Bones, there are plenty of episodes to come! That’s because Bones is not only getting a twelfth season, but also because the long-running Fox drama still has quite a few episodes left to air in Season 11. The show hasn’t actually been on the schedule since early December and is not expected to return until mid-April. If you are waiting patiently for new episodes, you can catch them starting on Thursday April 14, 2016, only on Fox. The episode is expected to jump ahead two months after--spoiler--Hodgins was paralyzed on the series. If you’d like to see what else Fox has coming up, check out our midseason TV premiere schedule.